As a former prosecutor, when I read the 43 page, 14 count indictment against Former VA Governor Bob McDonald and his wife, Maureen, the one word that comes to mind is “thug”, a term that has been incorrectly associated this week with Richard Sherman, NFL Seattle Seahawks player. While the media this week has been characterizing Sherman, a Stanford University graduate, as a thug for post-game comments on Sunday, the real thugs of the week are Bob McDonnell and his wife for the alleged activities outlined in that 43 page indictment. Bob McDonnell who is scheduled to be arraigned on Friday, audaciously denies the allegations. If the charges prove true, then McDonnell and his wife will be joining the likes of former Prince Georges County Executive, Jack Johnson and his wife in a federal prison. The charges read like several episodes out of the TV show, Scandal. And it is a scandal. No Virginia governor in modern times has faced criminal charges for corruption, like McDonnell. The indictment alleges a scheme whereby McDonnell received goods, gifts and services in exchange for government assistance to Johnny Williams’ company, Star Scientific, in promoting its new dietary supplements. 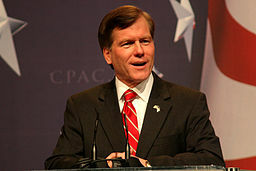 According to the papers, McDonnell provided assistance to Williams’ company in official government endorsements, speeches before investors and researchers, research assistance for clinical trials necessary to promote the healing powers of the supplements. And the former Governor along with his wife, did provide the Governor’s mansion to launch the company’s products, proposed using Virginia government employees as guinea pigs for clinical trial, spoke at company events and in other ways gave their support and appearance of the support of the Virginia Governor’s office. McDonnell claims that he was promoting business in Virginia. But McDonnell did directly speak of his financial problems to Williams. I’m not quite sure who got the better deal but it appears likely that it was the McDonnell’s. If the allegations prove true, then the Governor and his wife thugged their way out of their financial woes by using Williams. And Johnny Williams’ company did receive a boost and a benefit. In other words, it’s called extortion, bribery and a conspiracy to use his official title of Governor to enrich his pockets by promising official government duties on an as need basis for Williams, making false statements, or just thug like behavior, criminally unbefitting of a Governor. In the final analysis, McDonnell and his wife returned many of the items. But a thief cannot return stolen goods to its rightful owner and avoid prosecution. While no case is ever a slam dunk, McDonnell, once the top law enforcement officer for Virginia as Attorney General from 2006-2009, knows Virginia does have an advantage on their side with the ultra-conservative Virginia jurors. Promoting jobs through business development for the Commonwealth of Virginia is one thing. Requiring an owner of a company to pay for your daughter’s wedding reception or get a free $50,000 loan in exchange to do business is another matter. That’s the part that would demote McDonnell to thug. So if anyone in the news this week should be described as a thug, former Virginia Governor Bob McDonnell and his wife should come in first place. Washington, DC based Debbie Hines is a trial lawyer and former prosecutor who has prosecuted murders, economic crimes, drug cases and sexual assault cases with a high conviction rate. She is often seen in the media on BET, News One with Roland Martin, RT America, CBC-Canada and the Washington DC affiliates Fox 5, WUSA 9, ABC 7 and NBC 4. She also contributes to the Huffington Post and the Women’s Media Center. All of the focus on Edward Snowden and clemency, pardon, whistle blower status or jail misses the real point. Namely, the NSA is conducting what amounts to illegal surveillance on collection of telephone data of persons not to mention surveillance on everyone in the world, including everyday people, world leaders and perhaps even U.S. elected officials. Setting aside for the moment the issues surrounding Edward Snowden’s legal dilemma, more focus needs to be placed on the issue of NSA surveillance. Specifically, now that we have the information provided by Snowden, what are we going to do about it? This week, the release of journalist Betty Medsger’s new book on the FBI break-in of its offices in Media, PA over 40 years ago highlights the point even more. Medsger’s book, The Burglary, The Discovery of J. Edgar Hoover’s Secret FBI, reveals the identity of several of the anti-war activists who on March 8, 1971 were ordinary middle class people much like Edward Snowden, and broke into the FBI’s Media, PA offices with a crow bar and took with them suitcases full of files implicating the FBI’s illegal activity. Medsger was the Washington Post reporter at the time and the first to write about the contents of the files. At that time, the FBI under J. Edgar Hoover was suspected of conducting massive surveillance and other illegal tricks, including blackmailing efforts on Martin Luther King, Jr and spying on ordinary citizens. The activists who broke in were much like Snowden except in one major area. Their identities were unknown. Three are still unknown but five have come forward now. And despite the FBI’s ability to crack cases, the FBI was never able to learn the identity of the burglars. Their work efforts did not go unknown. The anti-war activists sent FBI documents to various news outlets and several elected officials including Senator George McGovern (D. SD) and U.S. Representative Parren Mitchel (D. MD). Just like the present day NSA surveillance, the FBI surveillance had also gone beyond mere intelligence gathering of information to illegal surveillance on law abiding citizens and organizations who may have differed in their views of the government. One tactic included sending an illegal wiretap of bugs placed in the hotel rooms of Martin Luther King, Jr. of his entertainment with women in his hotel rooms. The intent was to destroy people’s lives along with the surveillance. The anti-war activists committing the FBI break-in remained silent even after the statute of limitations had passed in 1976—the time period expiration by which the government must charge them with a crime. One of the activists, Keith Forysth stated this week that they remained silent of their identity to place more focus on the documents and less on themselves. As a result of the release of documents, major improvements, reforms and guidelines to the FBI and its data collecting and surveillance, over many years of time, were implemented. This leads to the question of whether too much focus is placed on Edward Snowden and not enough on the NSA’s illegal activities. It also leads one to question whether the focus on Snowden is taking away from what should be the real focus—our liberty and Constitutional freedoms are being whittled away by a runaway out of control NSA. The data that so far has been revealed by Snowden should have everyone regardless of political affiliation outraged. But for now, the public is mostly focused on Edward Snowden’s legal debacles. The New York Times, the Guardian Newspaper and many Americans are advocating for clemency for Edward Snowden. Mr. Snowden does not deserve an immediate government issued get out of jail free card, a hero’s welcome home or a ticker tape parade as some of his supporters seem to suggest, despite his significant spying revelations on the National Security Agency (“NSA”). 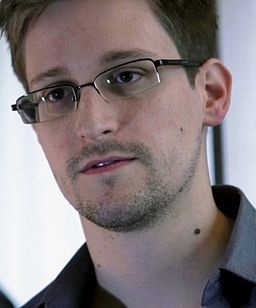 Edward Snowden, no doubt, has done a great service by letting America and the rest of the world for that matter, in on the secret that the U.S. is violating its own Constitution by the NSA conducting surveillance on its citizens and many allies throughout the world. The U.S. Constitution prohibits unreasonable search and seizures. No one including President Obama would state anything to the contrary. Yet, the reward to Edward Snowden for revealing NSA’s spying crimes should not be immediate clemency in advance of his return trip home to face charges. Mr. Snowden’s case is a complicated one with complex issues that perhaps, only the U.S. government knows the full extent. Mr. Snowden’s running to Hong Kong and Russia and attempts to Venezuela by way of Cuba, do not sway some to support any clemency efforts at this time. Along with Snowden’s promise to refrain from revealing even more detrimental documents, if he is allowed to come back to America, unscathed, is an extortion attempt. Whistleblowers should not attempt to extort the government to reach their desired goals. By going to Russia, at least for the next year, Mr. Snowden denies that he provided any documents to the Russian government. That seems unbelievable to many persons. Russia did not offer Mr. Snowden a place to reside out of the kindness of their hearts. They received something in return. And that’s the part that makes Snowden’s case for immediate clemency troubling and a difficult and bitter pill for some to swallow. Snowden is presently charged with two counts of espionage and one count of theft in a criminal complaint. Each charge has a maximum of ten years. Snowden is more concerned about the government adding increased espionage charges by way of a Grand Jury, which might subject him to life in prison. The problem is that Snowden wants some form of clemency before he returns to the U.S. He wants to be afforded humanitarian relief based on his actions in spilling the beans on the NSA. But the system should not work in that manner, regardless of what Snowden’s efforts have brought to bear. No doubt that Snowden has single handed focused attention on the illegal acts of the NSA. Those who distrust the government and suspect it of illegal wiretapping and surveillance have unfortunately been vindicated. For many years, another U.S. agency, the FBI, was spying on innocent persons, including Martin Luther King, Jr., long before Internet and cell phones. Yet, the magnitude of the surveillance by the NSA takes illegal surveillance to another catastrophic level. Even some of our elected officials do not trust the NSA. On January 3, 2014, Vermont Senator Bernie Sanders wrote a letter to the director of the National Security Agency to reprimand the NSA for listening on phone calls on government leaders of countries such as Brazil, Germany, France, Mexico and others and collecting information of phone calls of Americans, email and websites that we visit. Citing U.S. District Court Judge Richard Leon who called the NSA actions, “almost Orwellian”. But, Senator Sanders also wrote to inquire if the NSA has spied or is spying on members of Congress and other elected officials. Edward Snowden also probably knows the answer. Focusing back on Snowden, he did a service as well as a disservice to Americans. The good that he did in providing evidence to show the magnitude of the NSA’s illegal actions must be weighed with the manner in which he divulged and might continue to divulge information. I agree that with the information presently known, that Mr. Snowden does not deserve to face life in prison, for revealing that our government has systematically broken the law. But the manner in which he divulged the information and continues to perhaps divulge additional information is what should subject him to criminal prosecution before any leniency is considered. Mr. Snowden is stuck between a rock and a hard place. He wants to return to the U.S. but he wants a guarantee that no harm, such as charges for life in prison, will await him. He must choose his poison. He can either return to the U.S. and face the music or he can stay abroad in Russia for as long as they will allow him to stay. His best option is to come back to face the criminal justice system and argue his case in the judicial system and perhaps plea bargain his case, like most other defendants charged with a crime. If he does return to U.S. soil, there will probably be a boat load of defense attorneys willing and able to represent him, in addition to those presently representing him. That option is his best option instead of wishing and waiting for clemency or guaranteed leniency before his return. If special leniency privileges are afforded to Mr. Snowden before he comes back to the U.S. to face charges, it will further support the viewpoint among many that the criminal justice system is not fair or just. Edward Snowden’s case is a complicated one of perhaps, by his own doing by the means that he took. He should come back and dance to the music awaiting him. He should not hold his breath awaiting clemency. Part II on the Edward Snowden case will focus on why hasn’t anyone from the NSA been investigated and charged. Debbie Hines is a trial lawyer and former prosecutor who addresses issues on race and gender in the law and politics. She is frequently seen in the media on C-Span, BET News, RT-America, CBC-Canadian, News One and the Washington, DC network affiliates WUSA9, Fox 5 News and NBC 4. She also contributes to the Huffington Post and Women’s Media Center. Just as President Obama’s landmark healthcare law, the Affordable Care Act, was picking up steam with enrollments of over 1 million in December, Supreme Court Justice Sonia Sotomayor singularly wrote an opinion which temporarily halted the Affordable Care Act from requiring religious based organizations from having to provide contraceptives to their employees. On December 31, Justice Sotomayor, based on appeal from, Little Sisters of the Poor in Denver, granted a temporary reprieve. She also gave the Obama Administration until Friday, January 3 to respond. 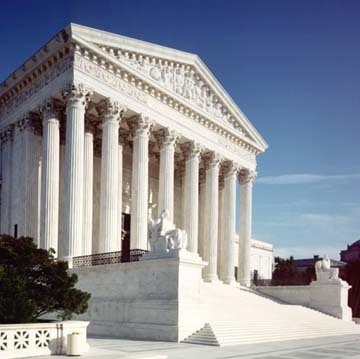 The Supreme Court assigns justices to various jurisdictions and Justice Sotomayor was assigned to the 10th Circuit jurisdiction, from which the case was appealed from. At the heart of it are two other cases headed to argument before the Supreme Court, is the issue of whether religious based organizations should be required to provide contraceptives to their employees as it infringes on their freedom of religion. Churches and houses of worship are already exempt under the law from having to provide contraceptives. Justice Sotomayor, appointed by President Obama, is also Catholic. The mandate of the Affordable Care Act begins January 1, 2014. Many more lawsuits have been filed in state federal courts. This means these religious affiliate organizations without a stay would be required under the law to provide contraceptives pending a ruling. Many federal courts had provided a temporary reprieve to some religious based affiliate organizations. And the opinion written by Justice Sotomayor stings all the more for the Obama Administration. And it probably signals the future of what might be expected from the full Supreme Court following oral arguments on the cases before it. Nearly 100 non-profit or profit companies with a religious affiliation have filed law suits or protested against the contraceptive requirement. Little Sisters of the Poor Home for the Aged in Denver which sought the last minute, last ditch relief could have faced serious monetary fines beginning on January 1, 2014. If the Supreme Court ultimately, after hearing arguments on the two cases before it, decides to halt the Administration from requiring contraceptives to these employees based on religious beliefs, it would signal a defeat for women. Most women in their adult life have used some form of contraceptives, at some time in their life. Those women employed by these religious affiliate institutions would be stripped of their now right to be covered under the plan for contraceptives. Shock and insult are probably the words that the Obama Administration would be likely thinking about on this topic. At issue on the cases before the Court are the right to religious beliefs for nonprofits and profit organizations asserting a religious affiliation versus the right of the government to mandate health coverage insurance and contraceptives includes health coverage for all women. The religious based or affiliate groups must show that the contraceptives mandate places a “substantial burden” on their religious freedom. Some judges do not believe they can meet their burden.